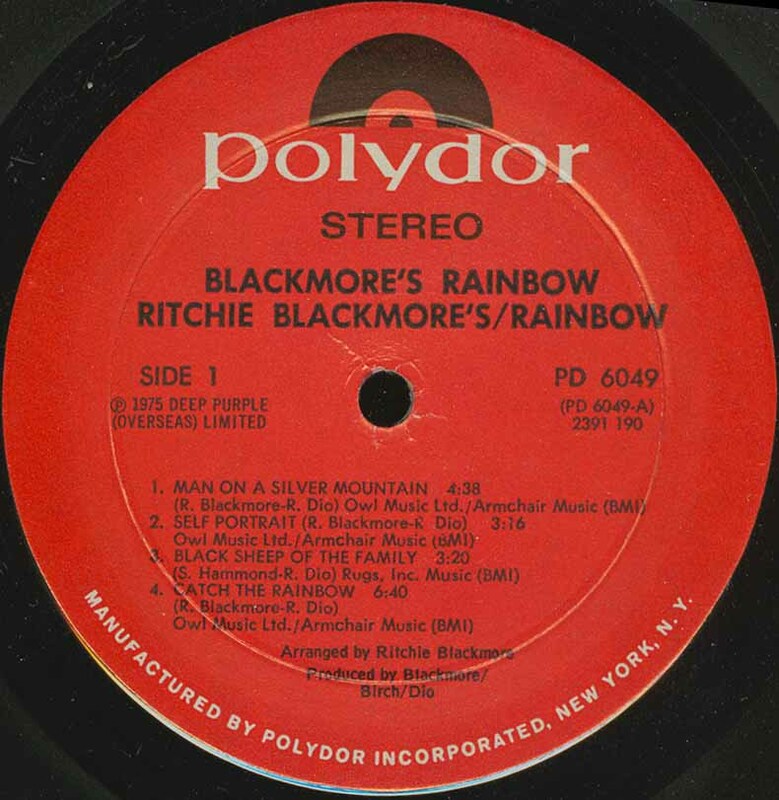 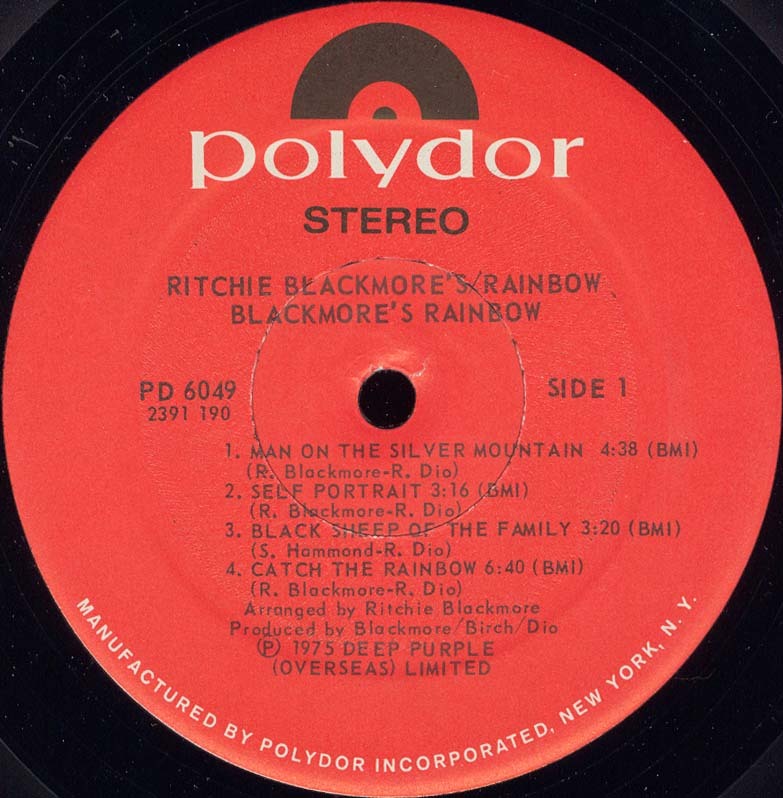 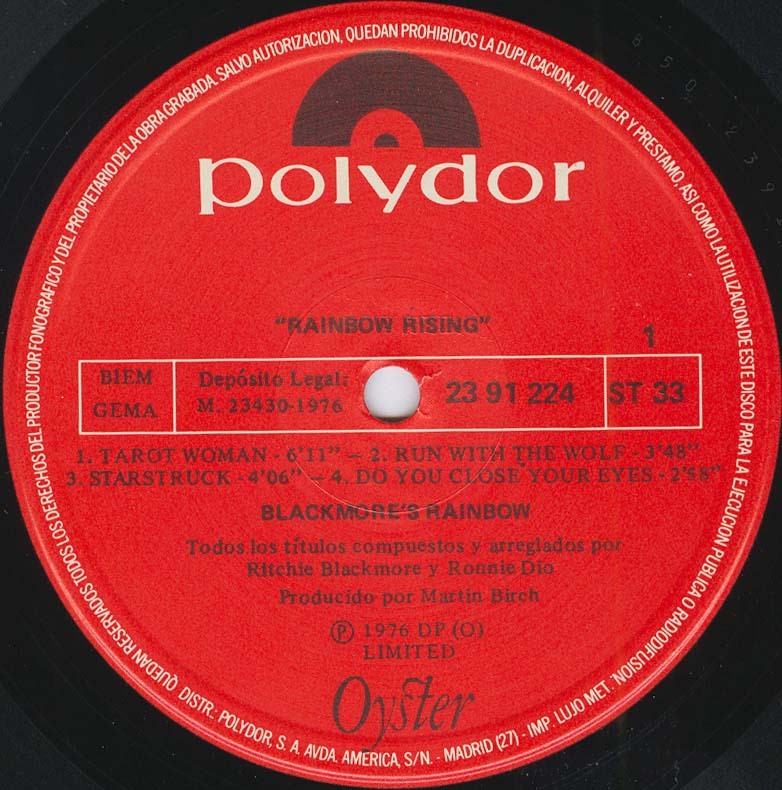 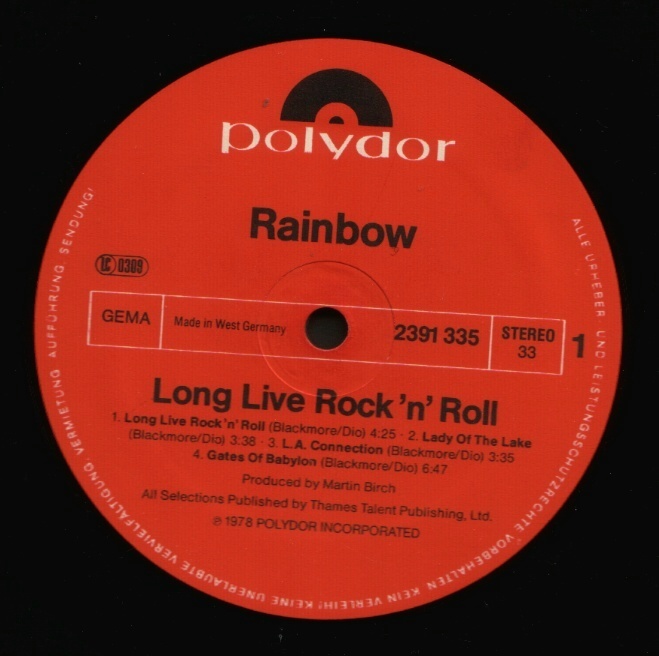 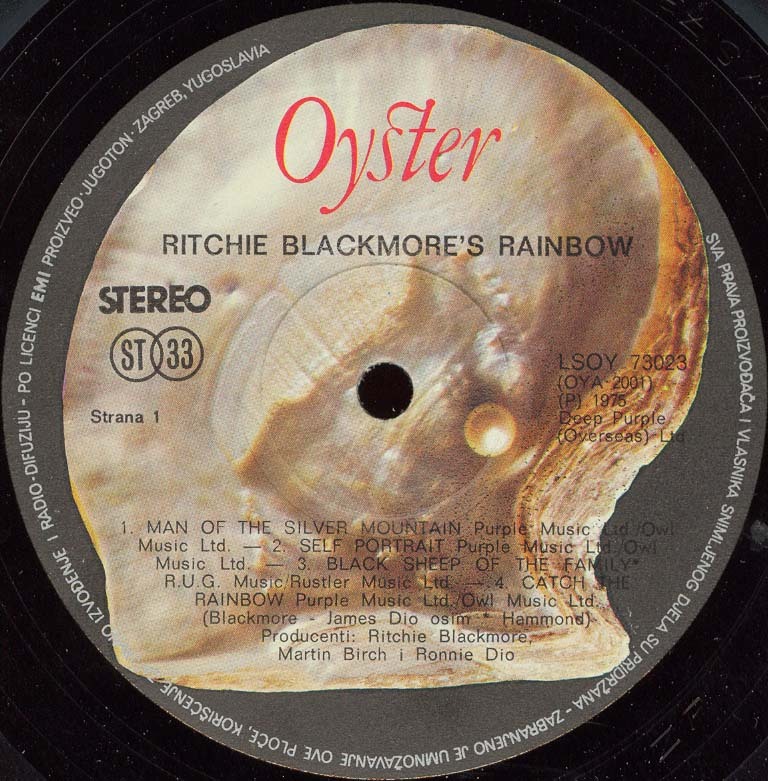 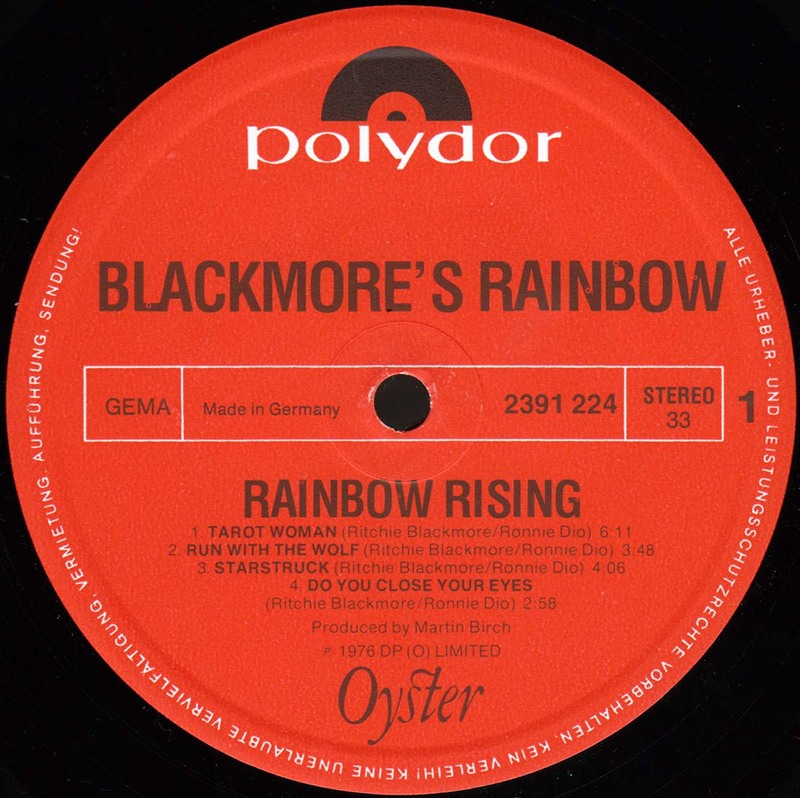 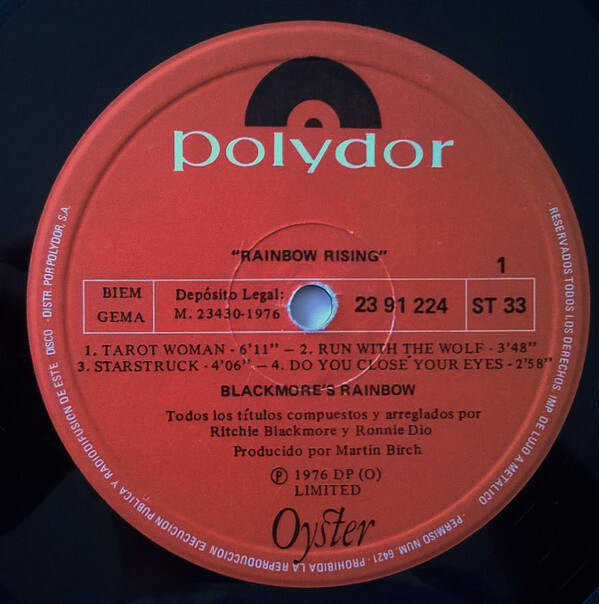 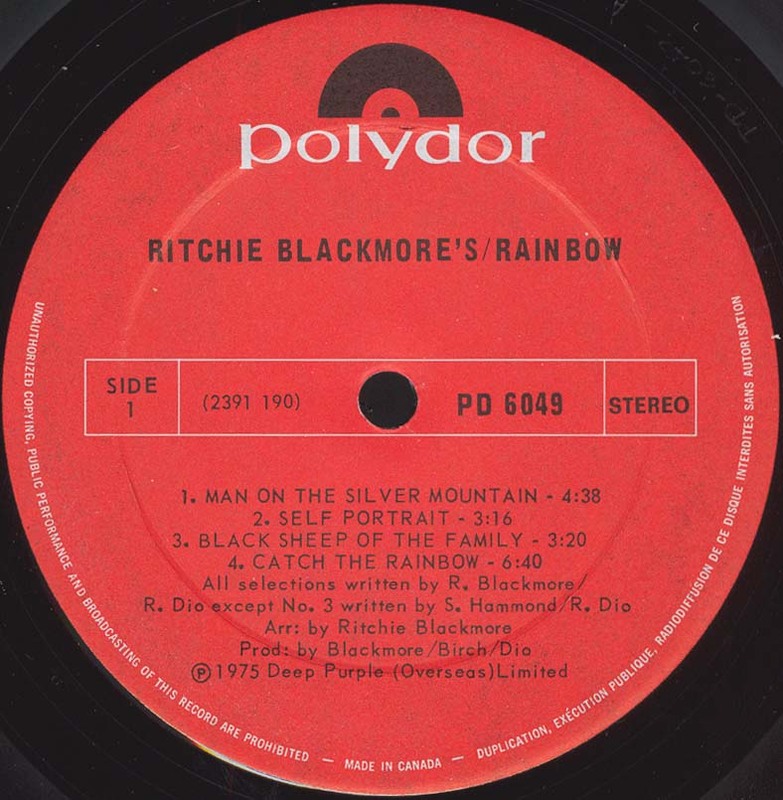 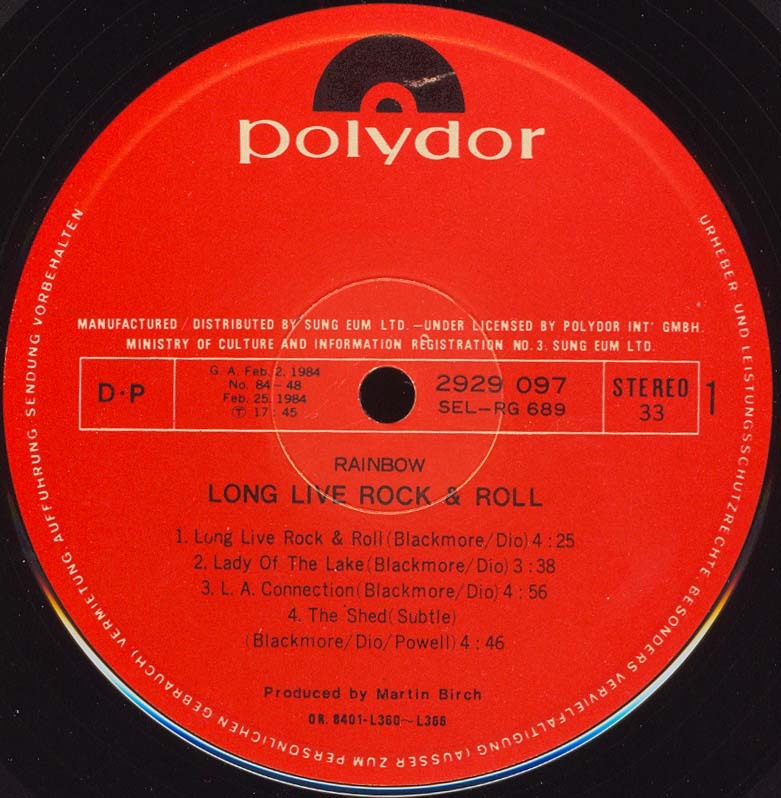 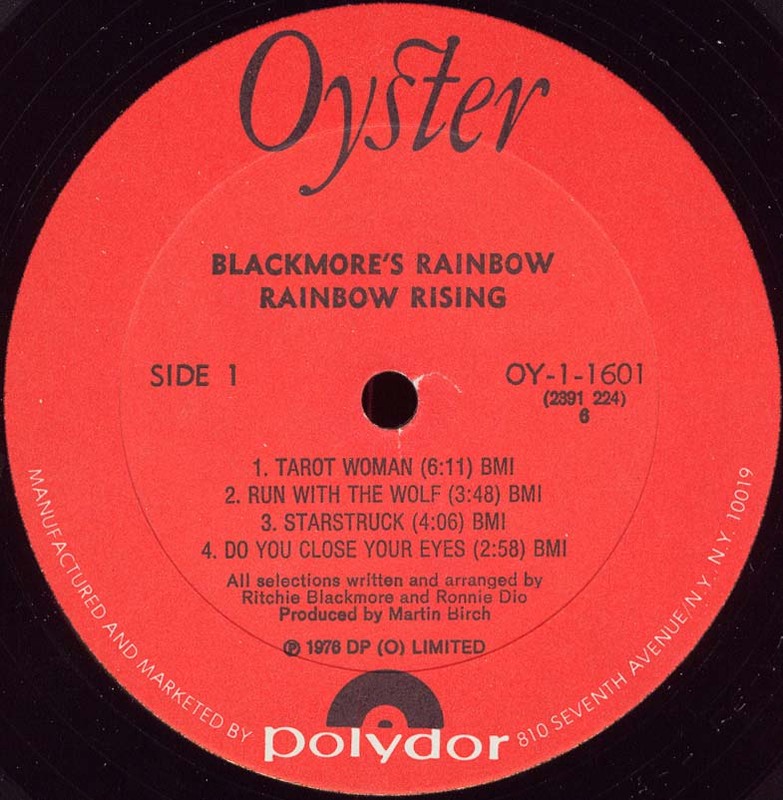 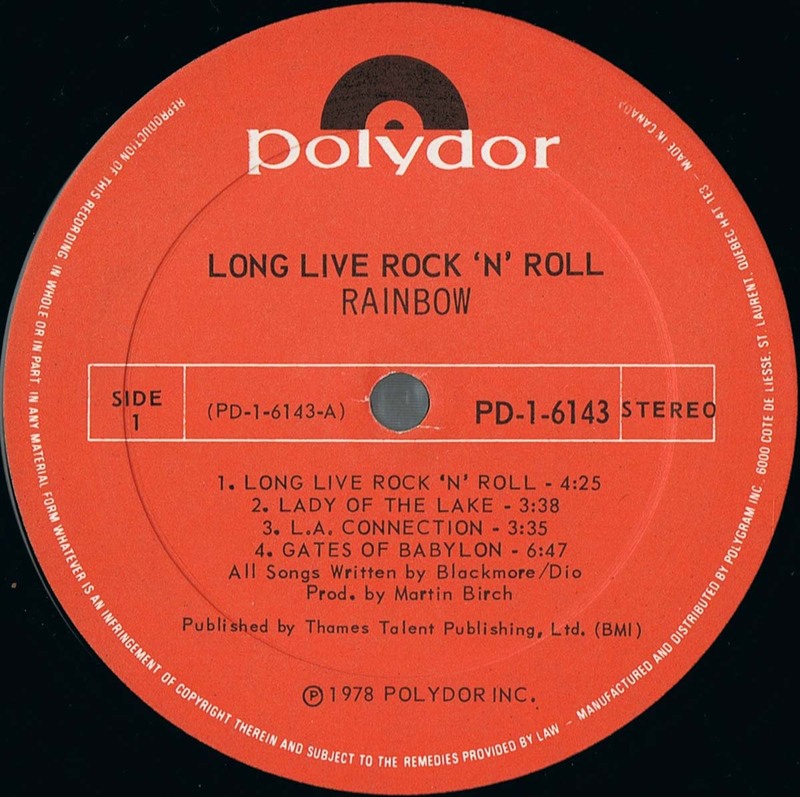 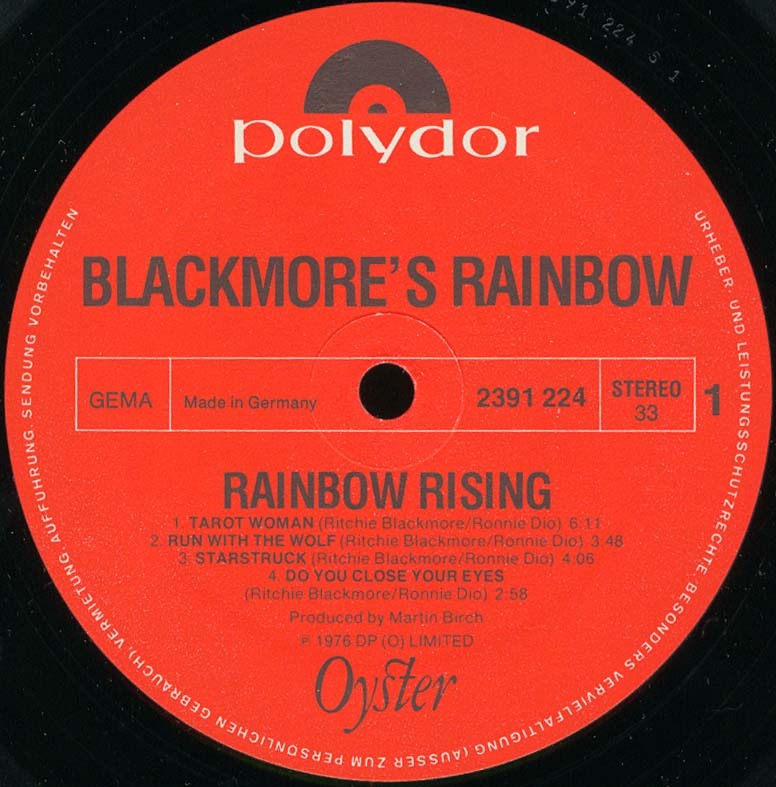 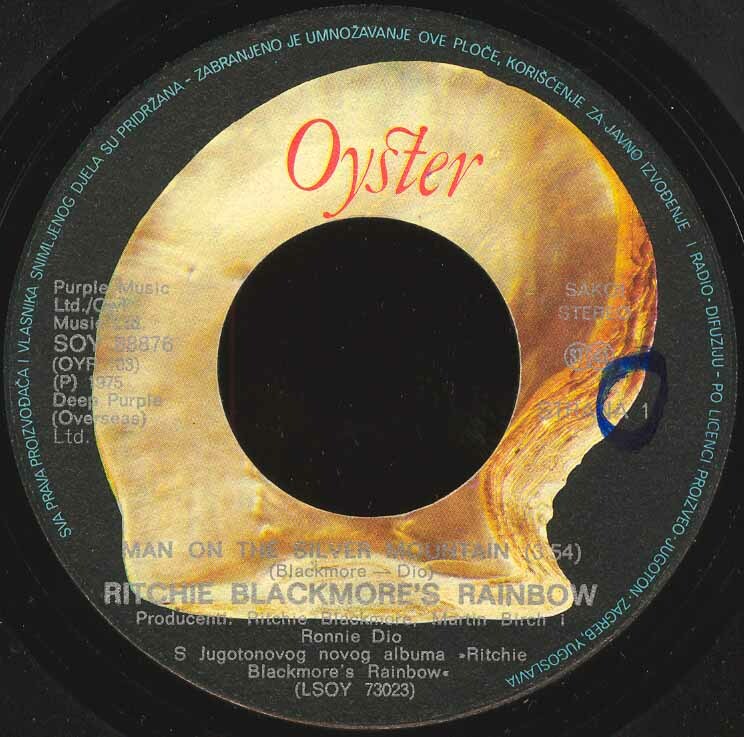 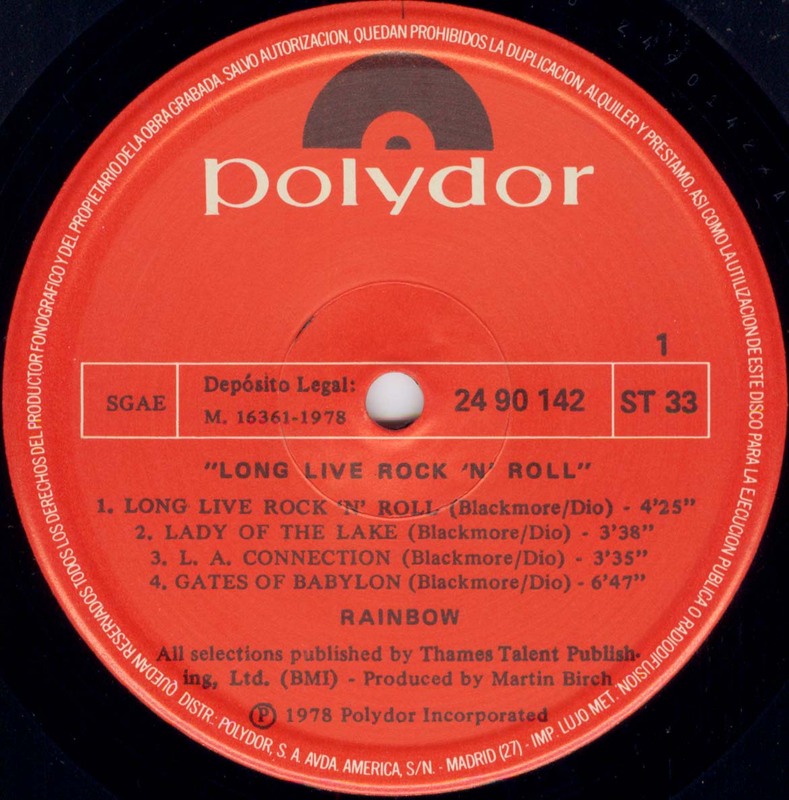 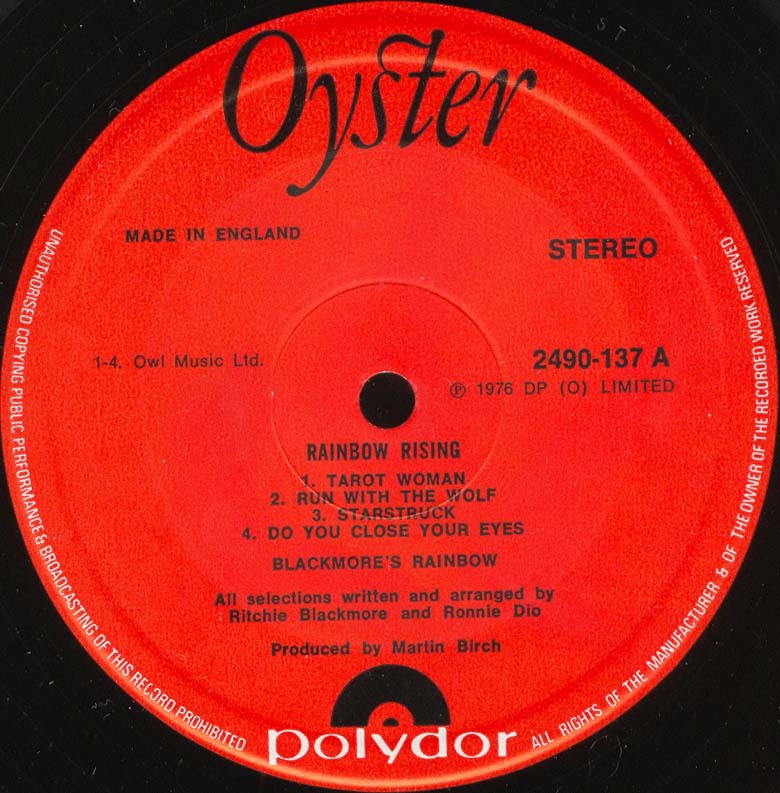 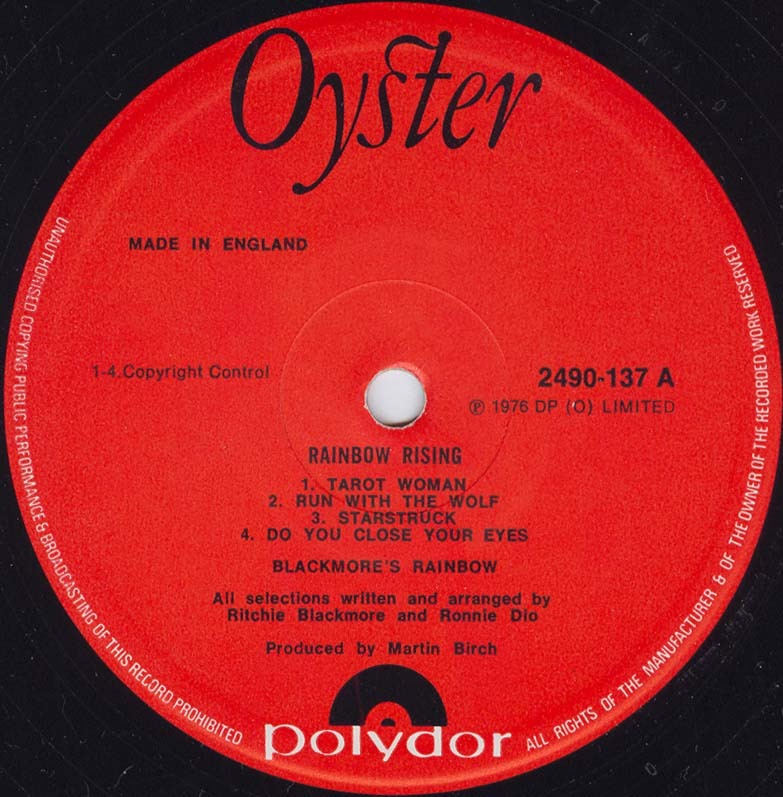 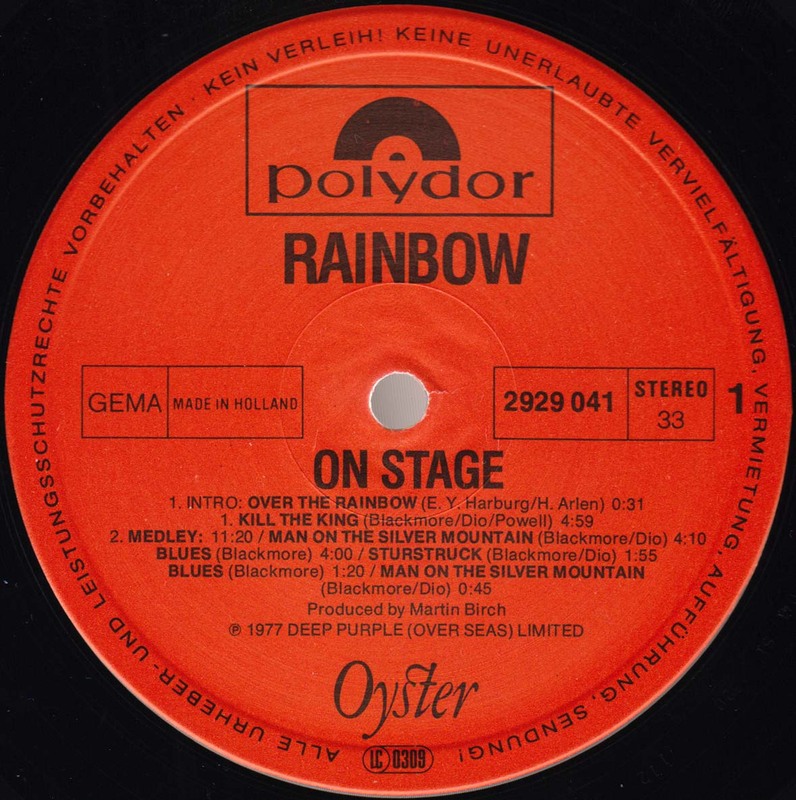 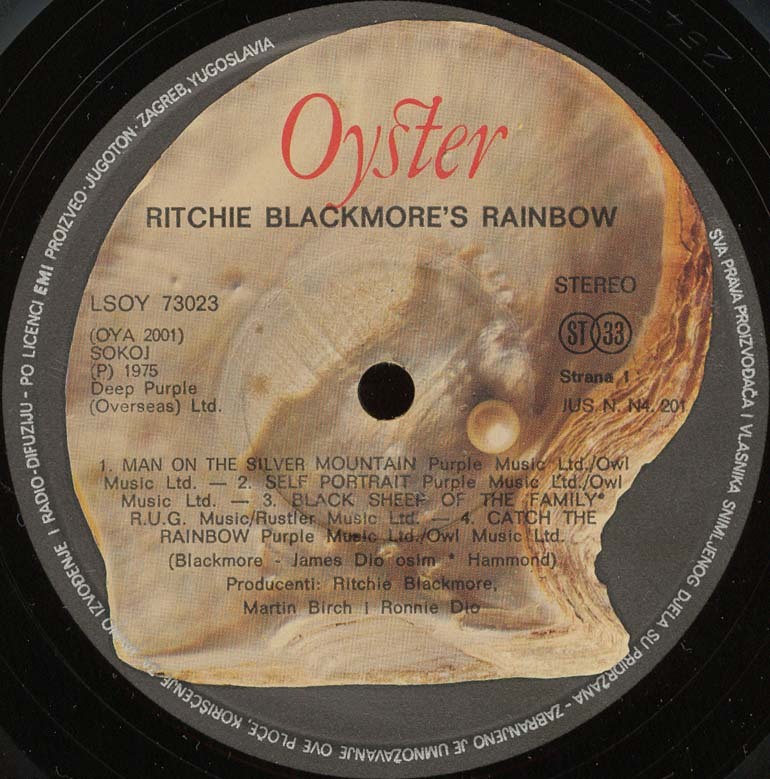 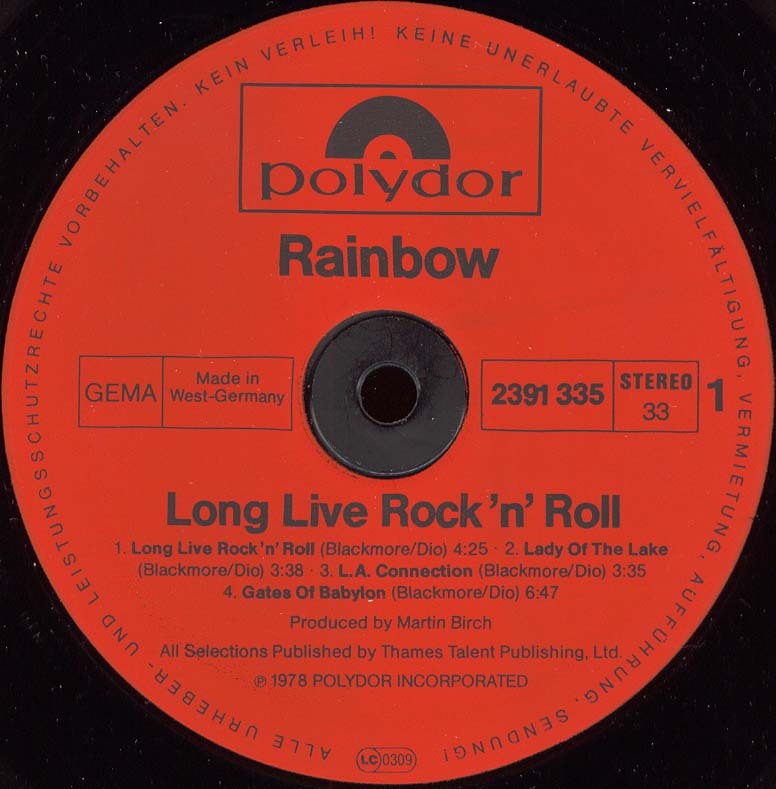 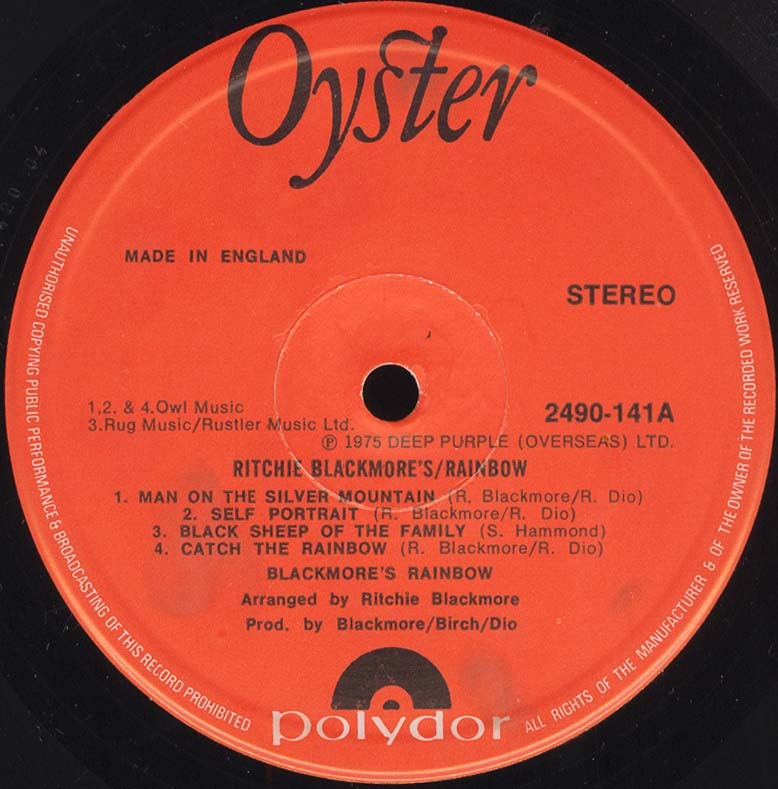 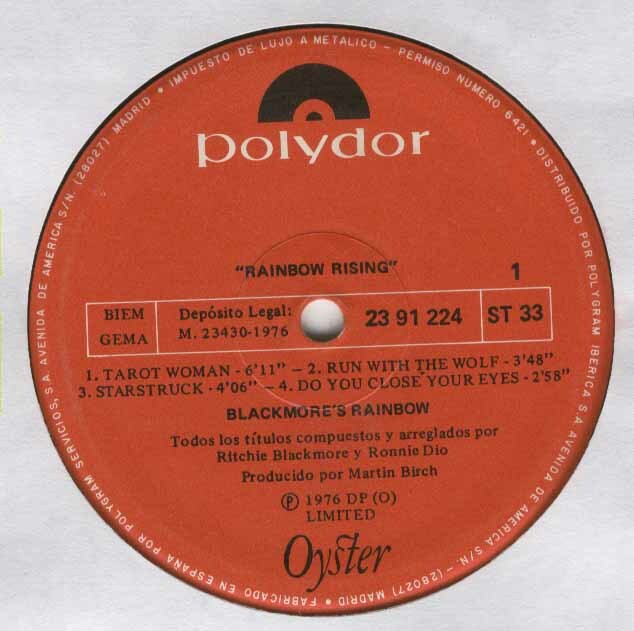 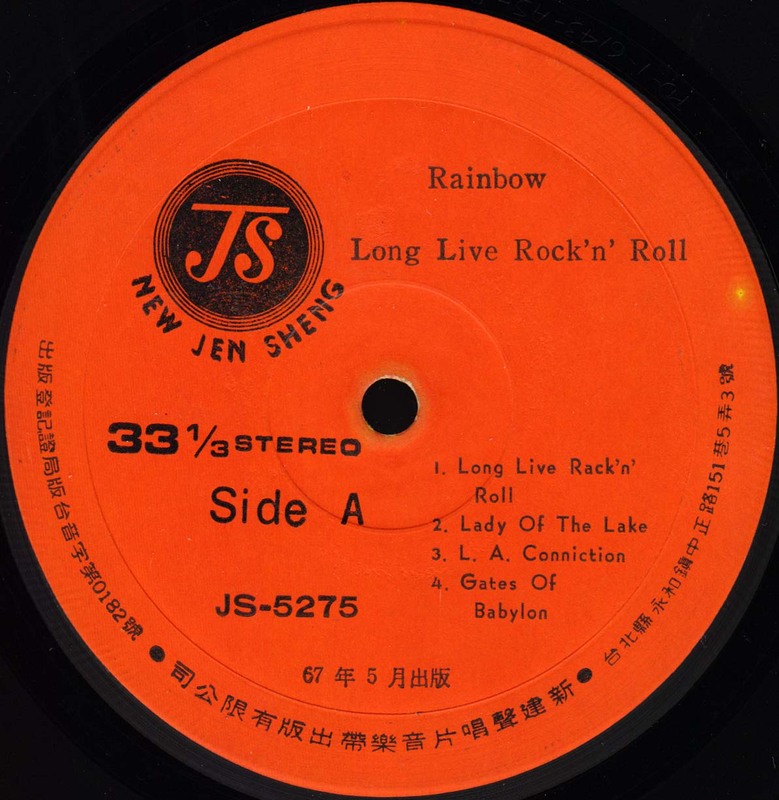 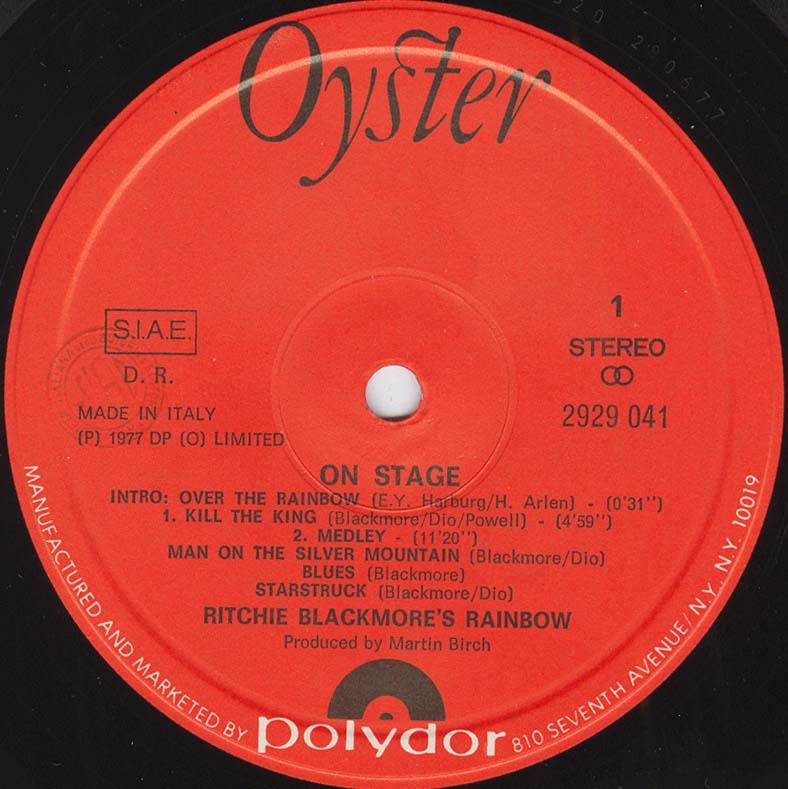 Ritchie Blackmore's Rainbow UK 1975 Oyster/Polydor 2490-141 Gatefold Sleeve. 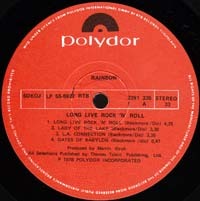 Polydor DELUXE 2490 141 on backsleeve. 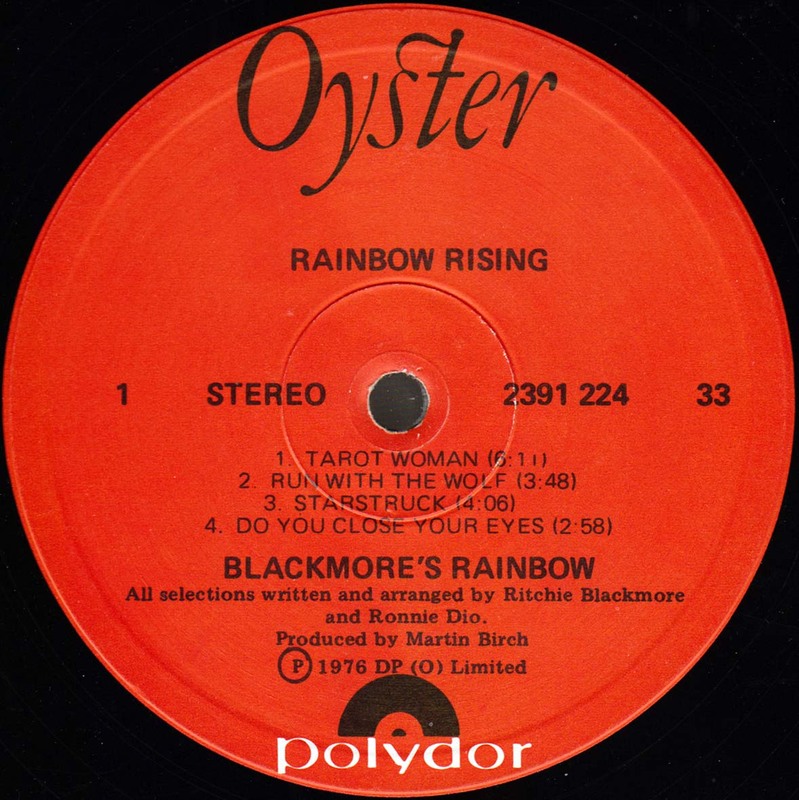 Rising Canada 1976 Oyster / Polydor OY-1-1601 Gatefold Sleeve. 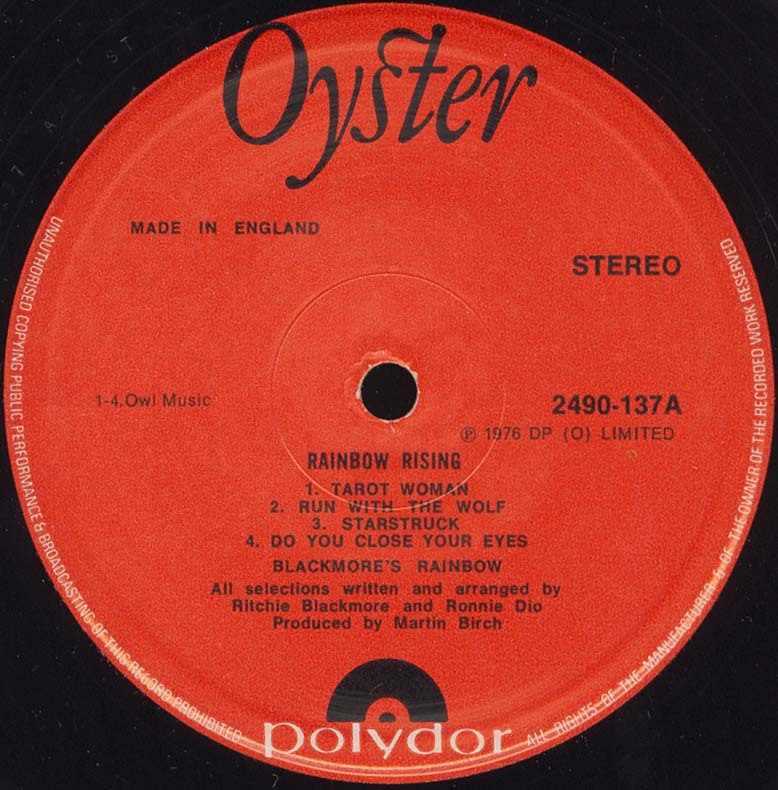 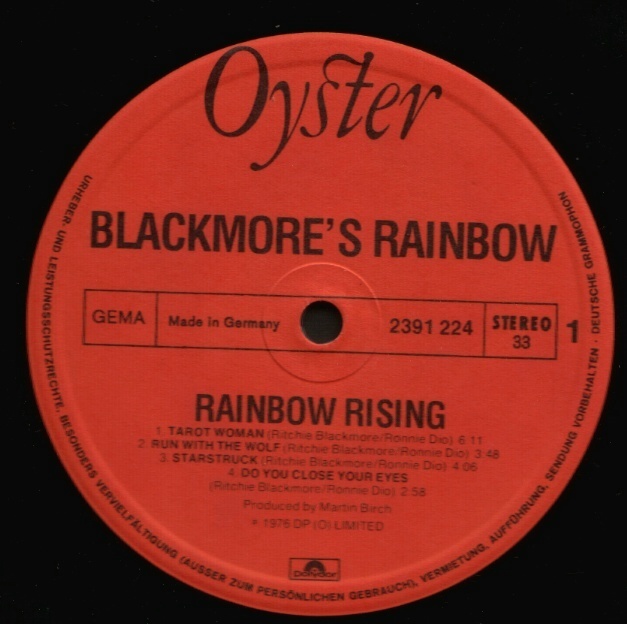 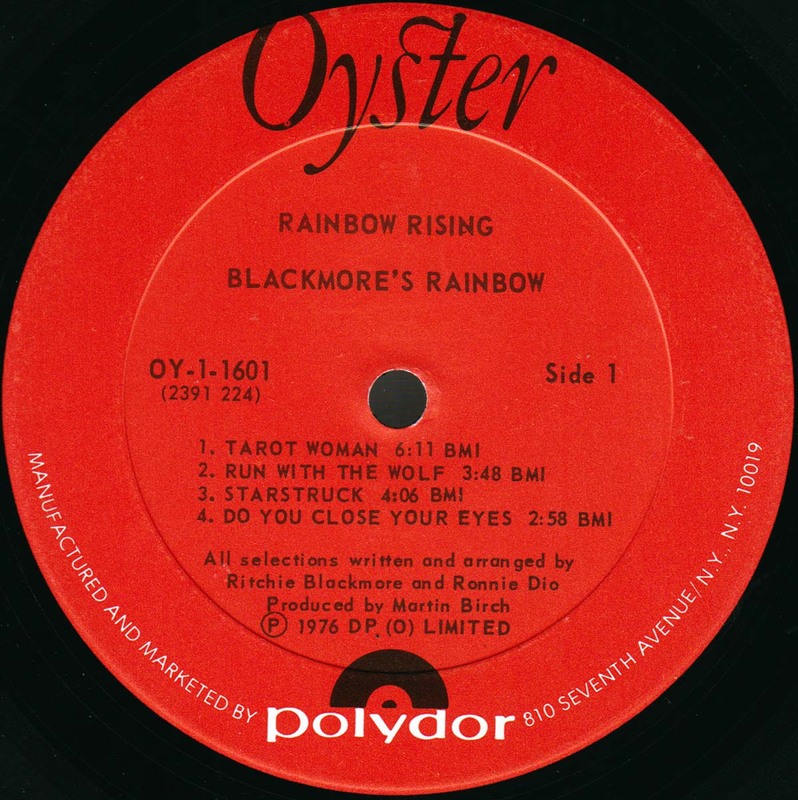 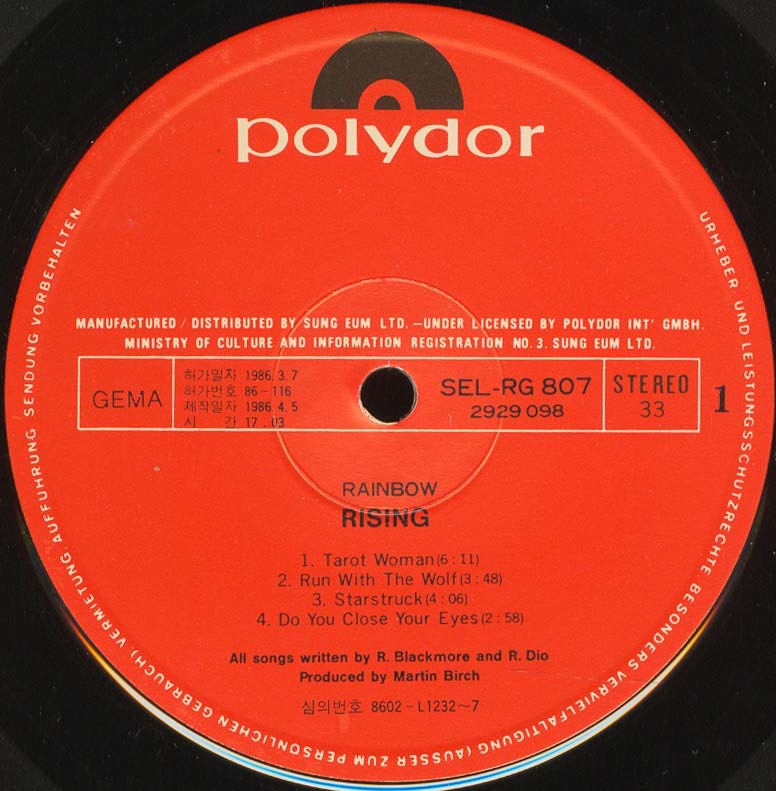 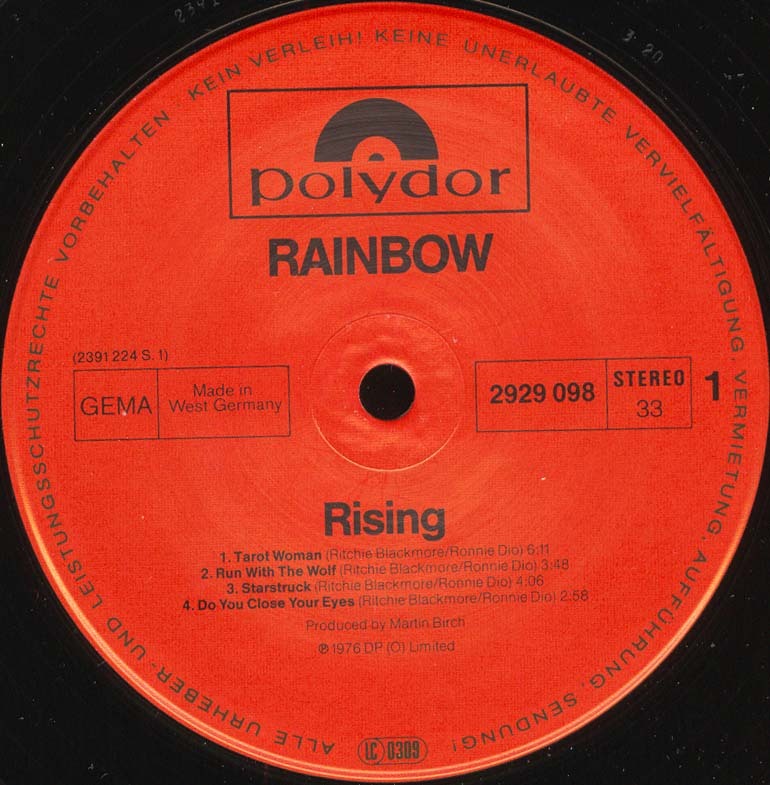 Rising Canada 1976 Polydor / Oyster OY-1-1601 MIP-1-9339 single sleeve. 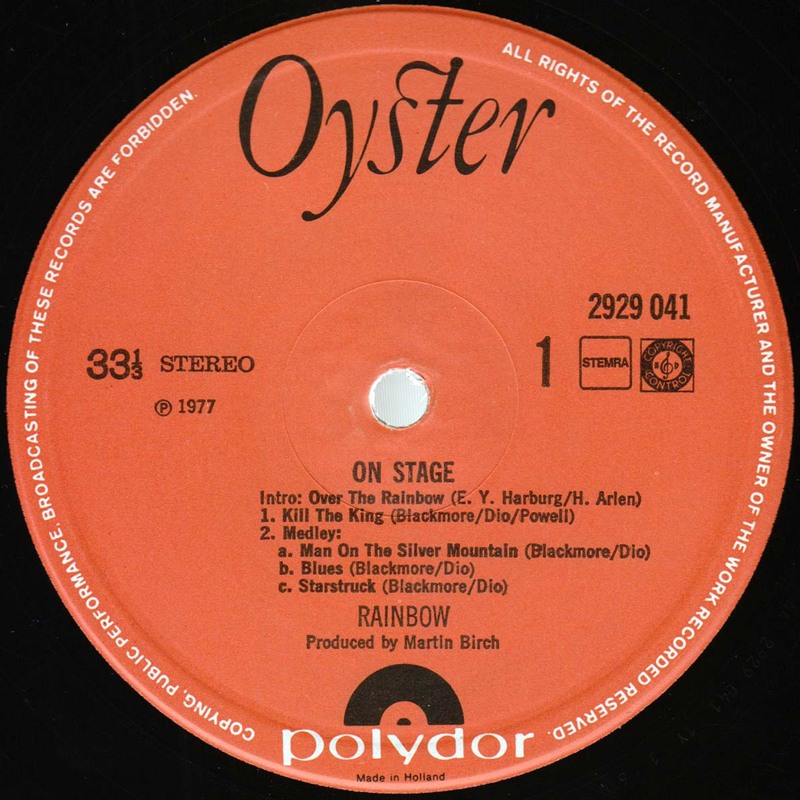 On Stage Yugoslavia 1977 Polydor 2675 142 - RTB 5707/08 Gatefold Sleeve. 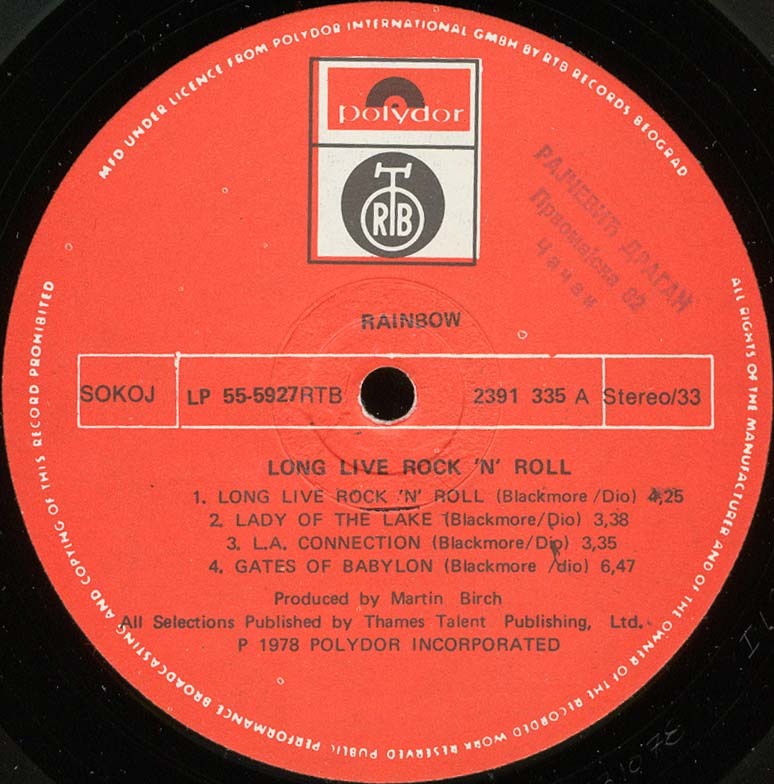 Silver SREBRNA text right down in Cover. 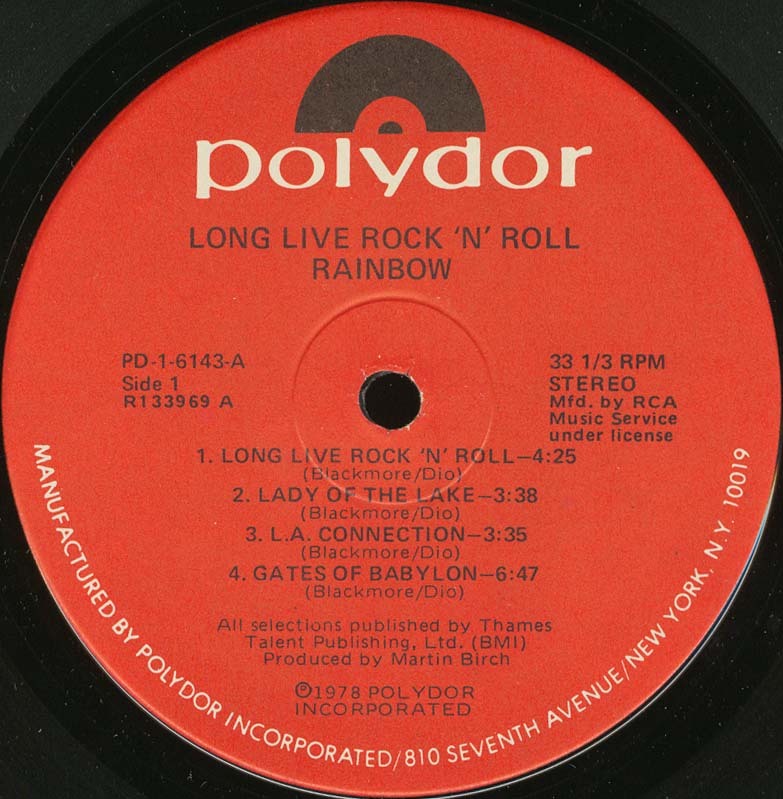 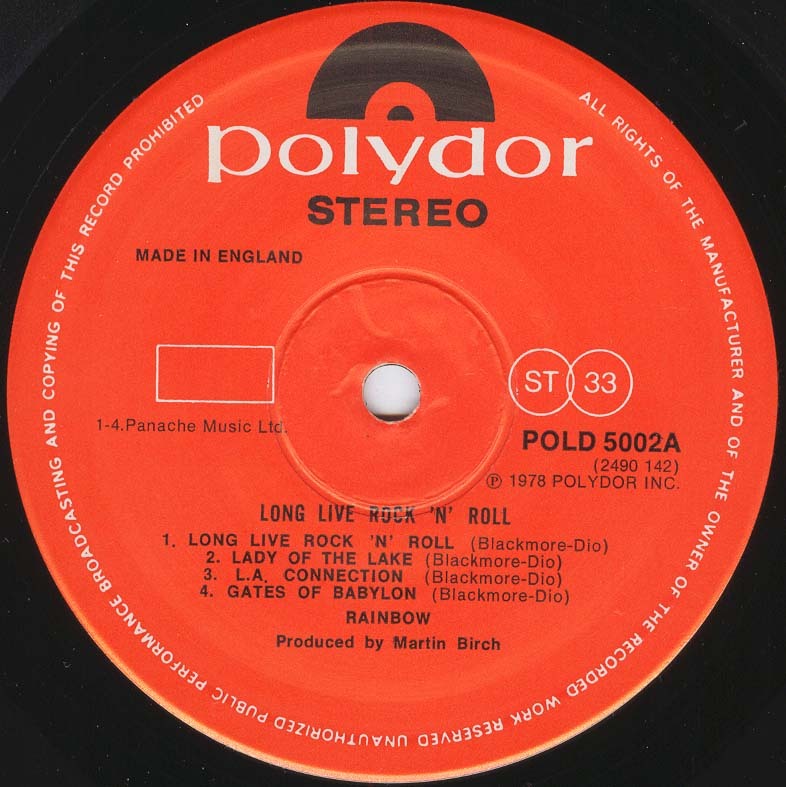 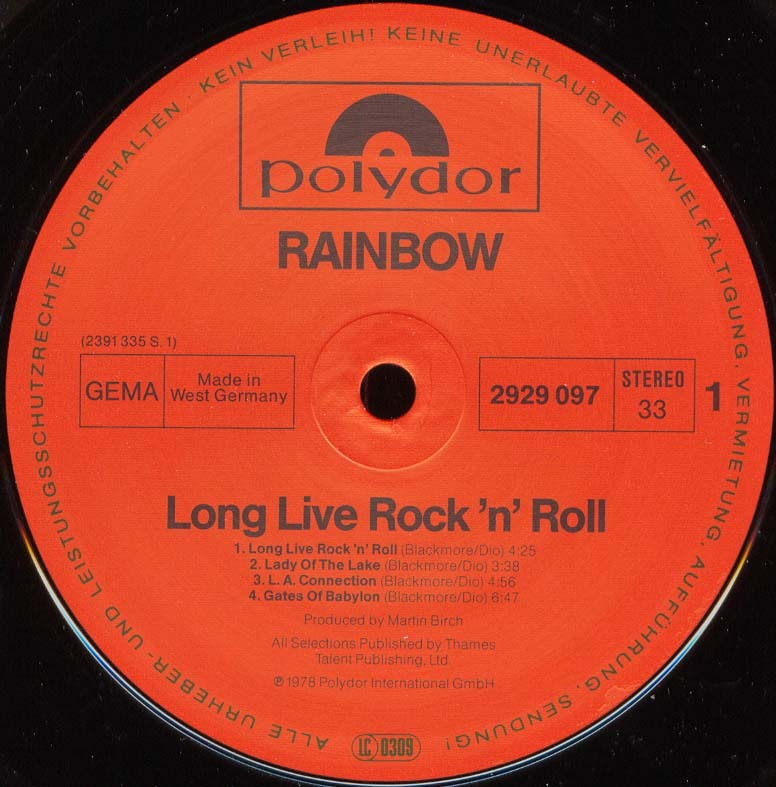 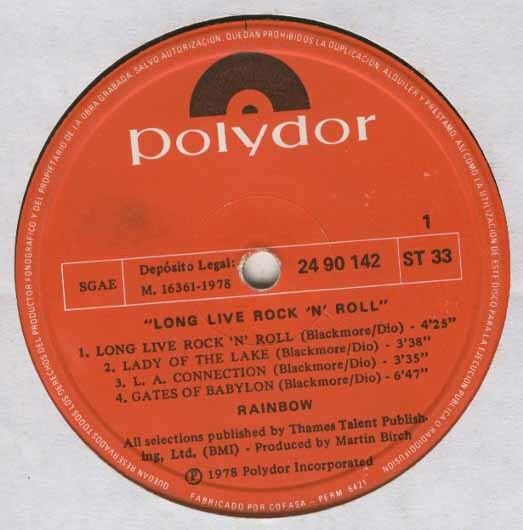 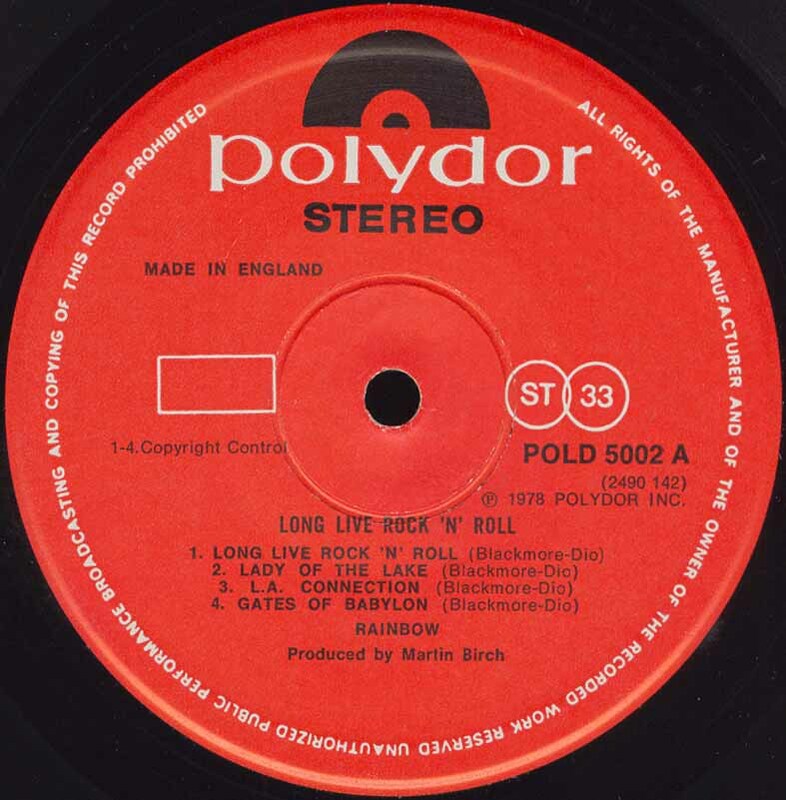 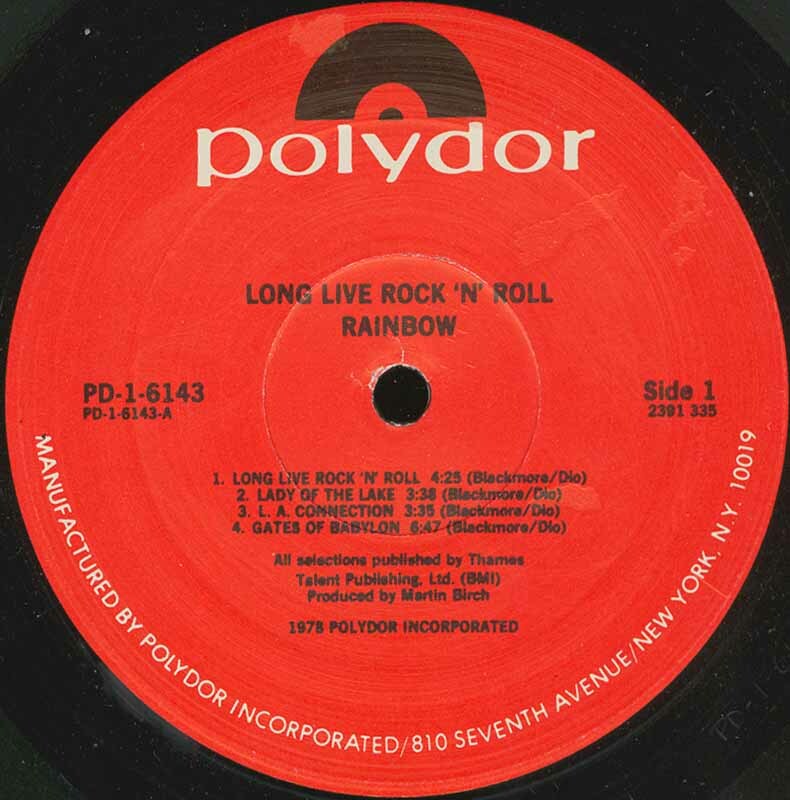 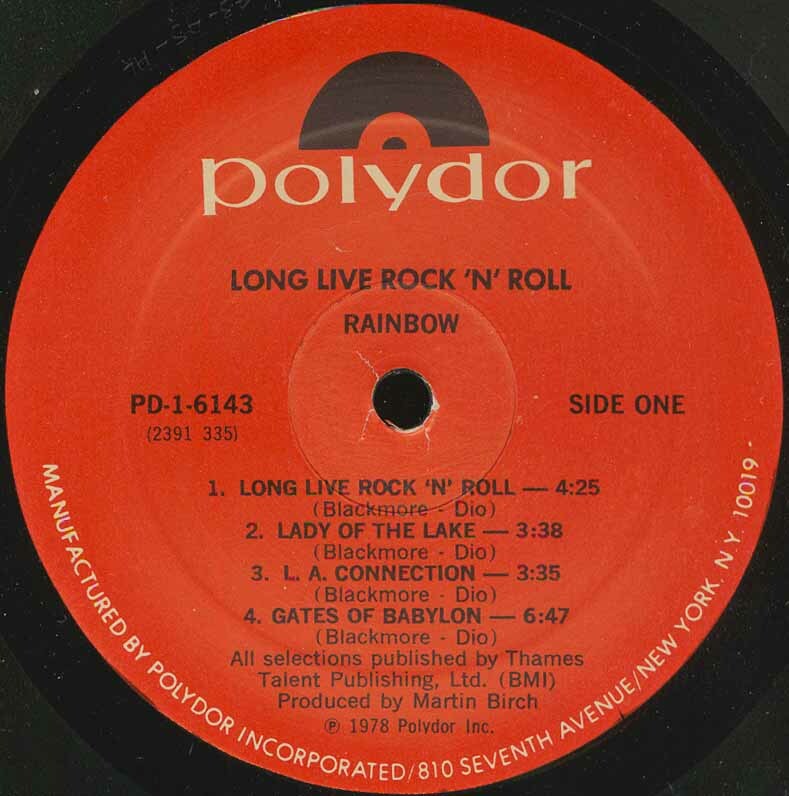 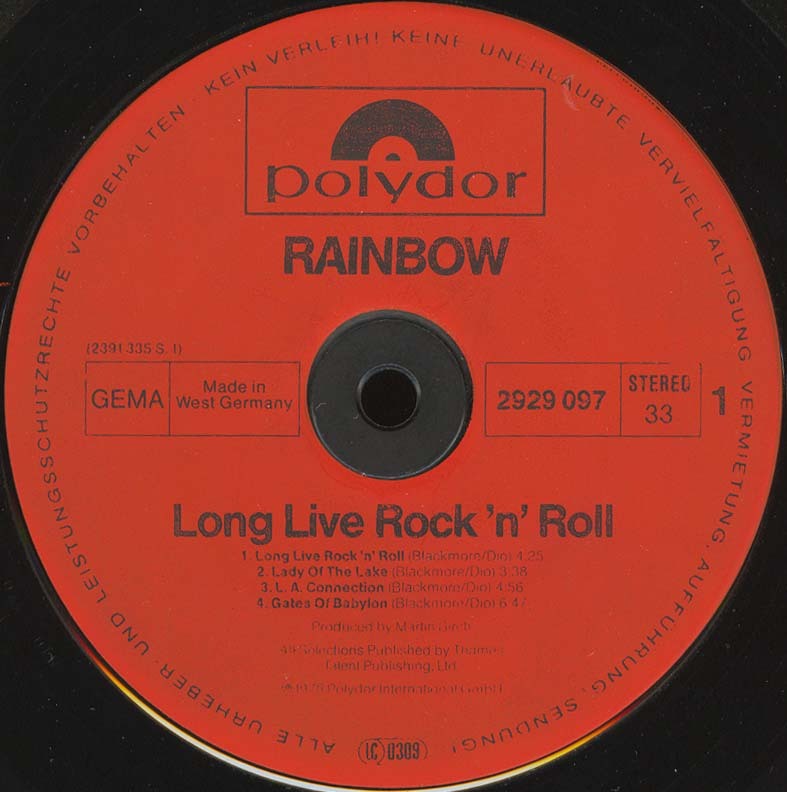 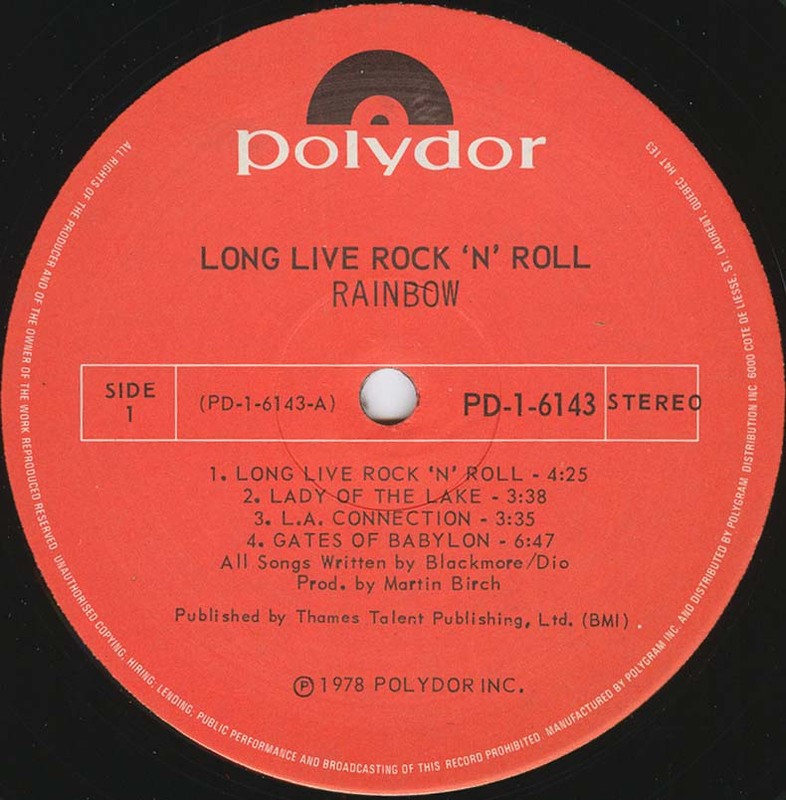 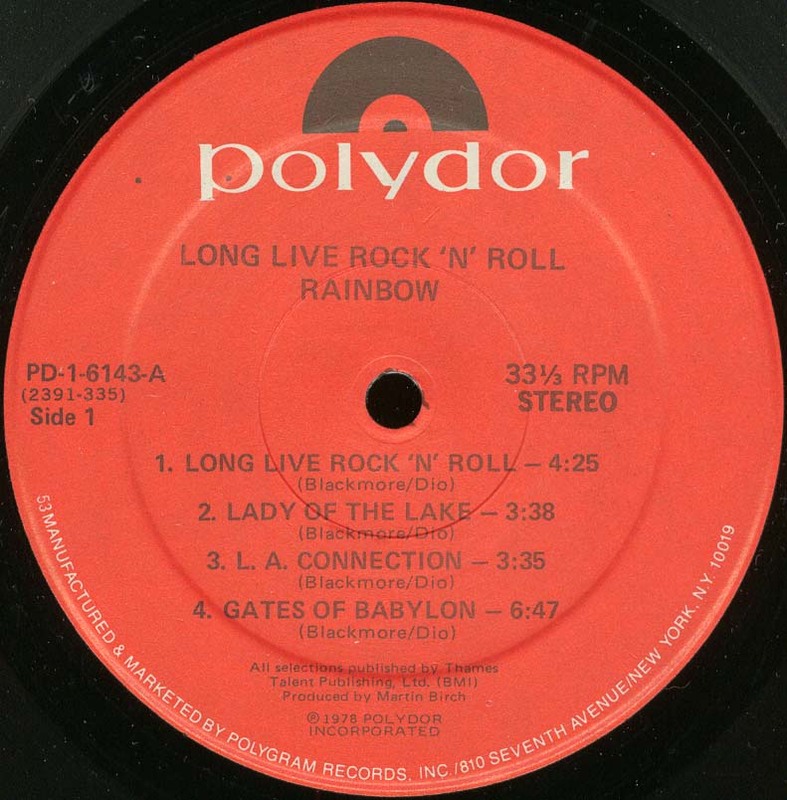 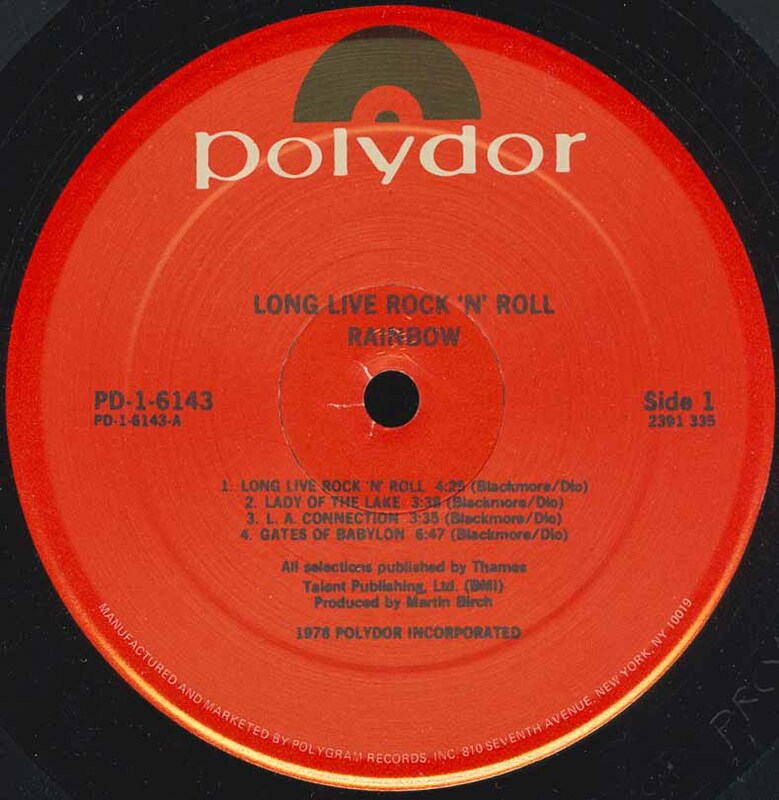 Long Live Rock 'n' Roll Canada 1978 Polydor PD-1-6143 Gatefold Sleeve.